Late winter snow March 14. Bill and Joann prepare for Taize. Members of Smith Memorial and El Buen Pastor gather for a church service of praise and prayer. ​ Rev. Ann Graham-Johnson will lead us in worship. Join us as we begin our observation of Holy Week. Maundy Thursday service on April 17, 6 pm at Smith Memorial. Easter Sunrise Service will be held at the Santa Cruz Lake overlook at 6 am. Join us to begin Easter. Taize ​service will be at HRRC, on Wed, April 16, 6 pm. BIBLE STUDY: SMPC Bible study resumes 5:30 pm with soup and bread and study in the Christian Ed building. Our next study will be April 23. Taize will be held at the Holy Rosary Church on Wednesday, March 20 at 6 pm. Thanks to the Menaul School Youth Work day at SMPC and EBP Tuesday, March 19. We appreciate all their hard work. Remember our congregation who are dealing with health issues at their homes:Tina Cordova from Truchas and Lovia Leyba and Edna Duran of EBP. ​Also remember Veronica Padilla who is also undergoing treatment. Her sister Rhonda is also recovering from surgery. Eunice is completing recovery as well. Remember our homebound elderly: Frutoza Lopez is with her family in Espanola. Keep them in your prayers. ​Services for Dennis Martinez of SMPC will be held May 4. 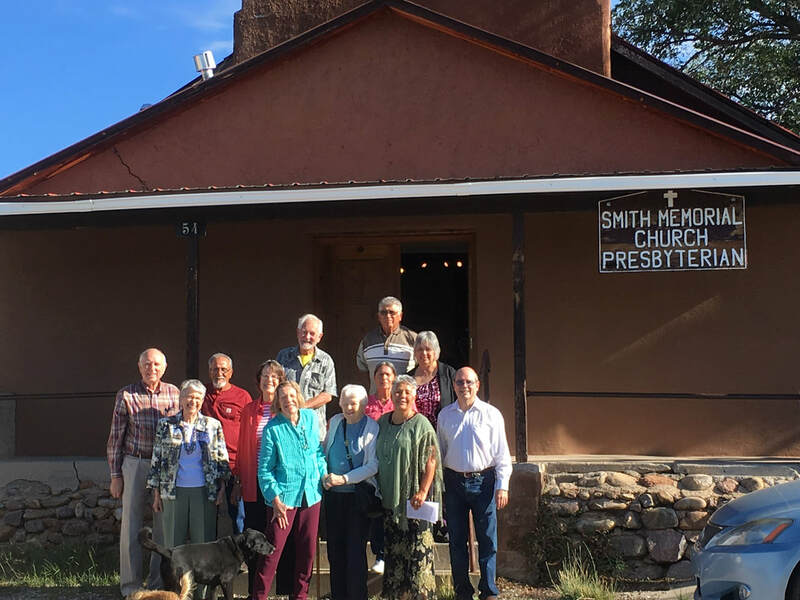 Worship follows at El Buen Pastor, Chimayo at 10:30 each Sunday. 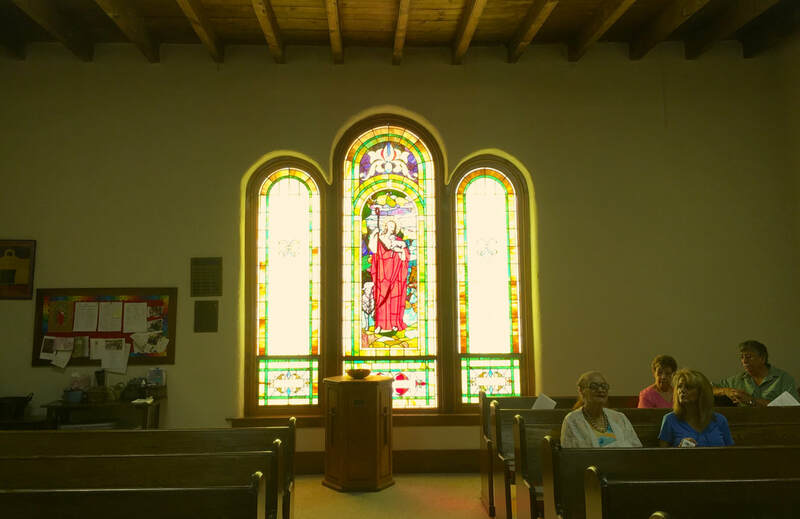 Sanctuary at El Buen Pasetor Presbyterian Church, Chimayo. Worship is at 1030 on Sundays.